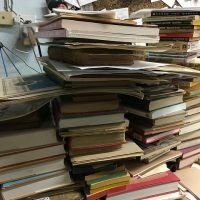 Photograph of Tom Wolfe’s signature from a signed first edition of one of his books. 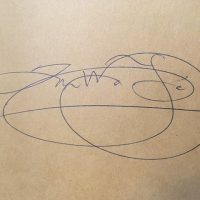 Photograph of William T. Vollmann’s signature from a signed first edition of one of his books. 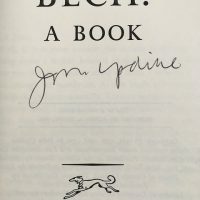 Photograph of John Updike’s signature from a signed first edition of one of his books. 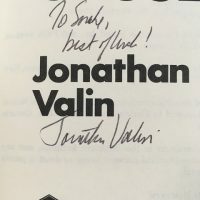 Photograph of Jonathan Valin’s signature from a signed first edition of one of his books. 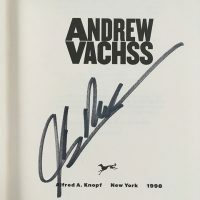 Photograph of Andrew Vachss’ signature from a signed first edition of one of his books.